Interesting attempt at the cycle analysis for a MAJOR earthquake. Why do you think they make these predictions, when they don’t properly understand the cycles? Last week, research based on a more complete earthquake record revised the return period of a quake to 291 years. The last was in 1717, exactly 300 years ago. Every year that passes pushes us further into the wrong end of that equation. ANSWER: In every field of science outside of Physics, there has been a brain-freeze when it comes to understanding the cyclical nature of everything around us. I was on one of my Institutional World Tours in the second half of the 1980s. I first flew to Toronto, and there was a small earthquake. I then flew to Vancouver, and then there was another small earthquake. Then, I flew to Tokyo and was hit by yet another small quake. I then flew to Australia and joked about how this quake was following me. They said no worries, quakes don’t happen there. That night we were hit by a big quake and all power went out for a day. After that, I flew to New Zealand and sure enough, I was in the middle of another quake. I met with the earthquake research center there in Auckland. 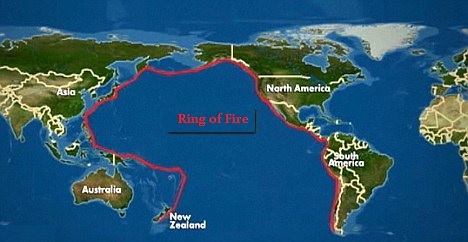 When I described that this quake was following me around the Ring of Fire, I was told no, that was impossible. They were not connected. I argued if you move the plate on one side, it seemed logical that it must move on the other side eventually. About a year later, the research person I had met with called me. He remarked, you know I think you may be right. I ran correlations of all quakes since the 1906 San Francisco quakes that was ultimately responsible for creating the Federal Reserve and the 1923 quake in Japan was just absolutely devastating. Such an event today would be profound to the world economy. 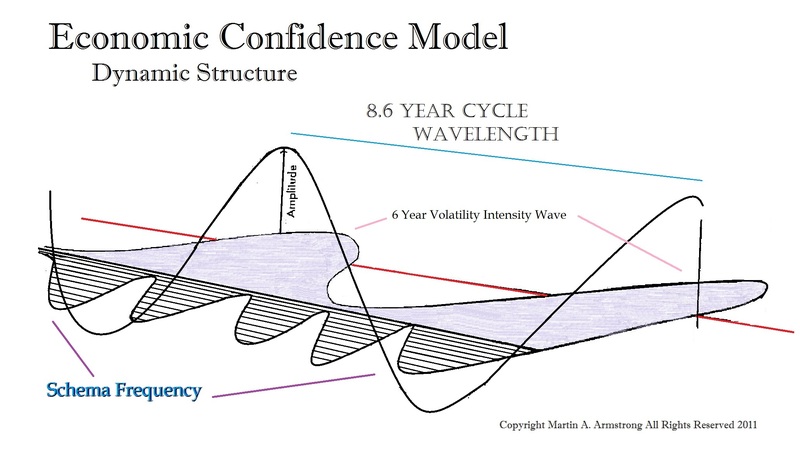 The entire problem center upon the lack of understanding is that everything is connected and this is the key to comprehending volatility in markets or major quakes in the landscape. It is the combination of force that makes one event more powerful than another. This field of research is just not comprehended in many fields.